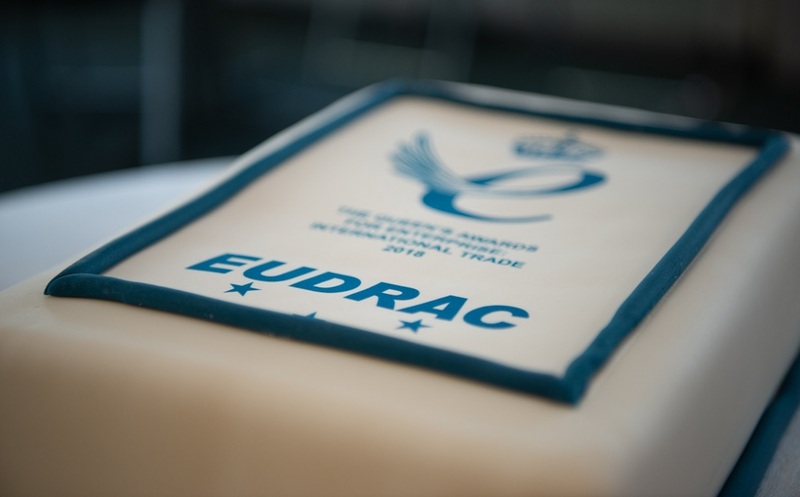 Carole Pugh, Managing Director, made a short speech describing the development of EUDRAC in the UK, the ethos of the team and the importance of the patient in all aspects of the business and thanked the team’s families for their support. 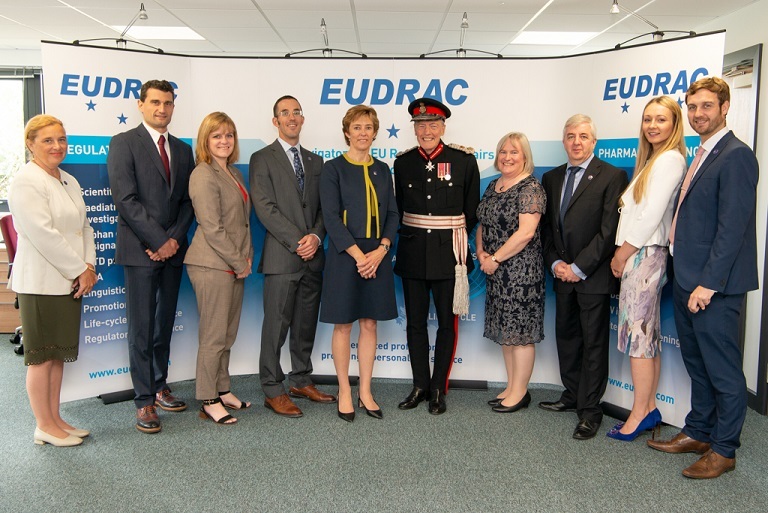 The Lord-Lieutenant described the prestige with which the Queen’s Award is recognised and the type of companies that are presented with the award as well as specific points of interest in EUDRAC’s application. 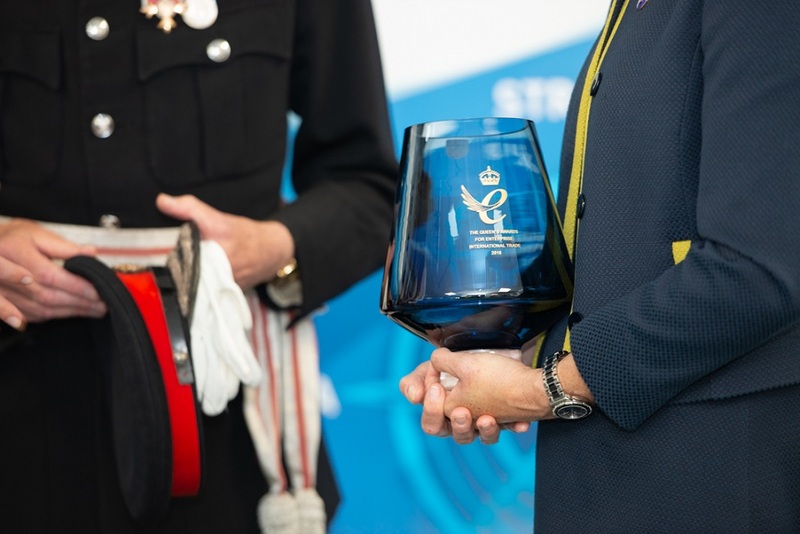 EUDRAC was presented with a glass engraved bowl and a certificate signed by the Queen which we will proudly frame and display in our office. 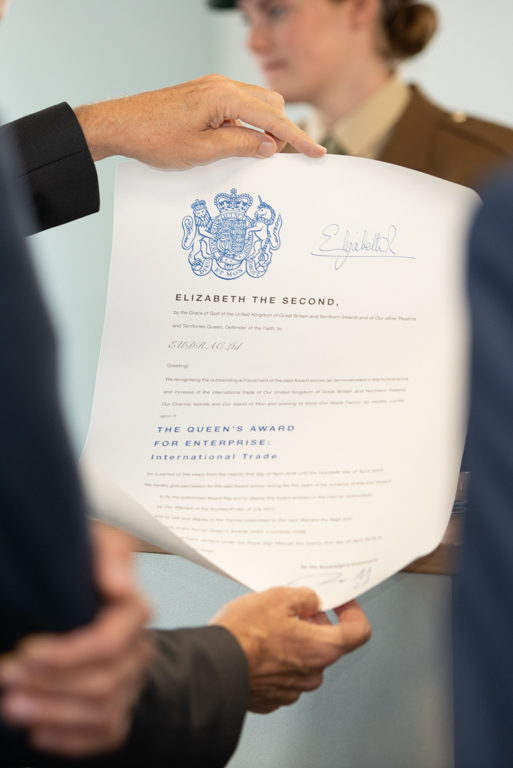 Afterwards we celebrated with champagne, canapés and cake!